Everything about Hyerim and Jon is unique and different, which makes this couple and wedding so special and beautiful. These two lovebirds met during college -- Hyerim being a diehard Trojan at USC and Jon an equally passionate Bruin at UCLA. Over the years, the two grew in friendship, and fell in love over a game of Words with Friends, and to top it all off, decided to have a daytime wedding! There is something about a daytime wedding that I love -- it must be the beautiful lighting they had all day, or the amazing sunset shots that they were able to take after their reception ended, or just being able to see all their guests so fresh and awake in the morning to come celebrate their wedding. 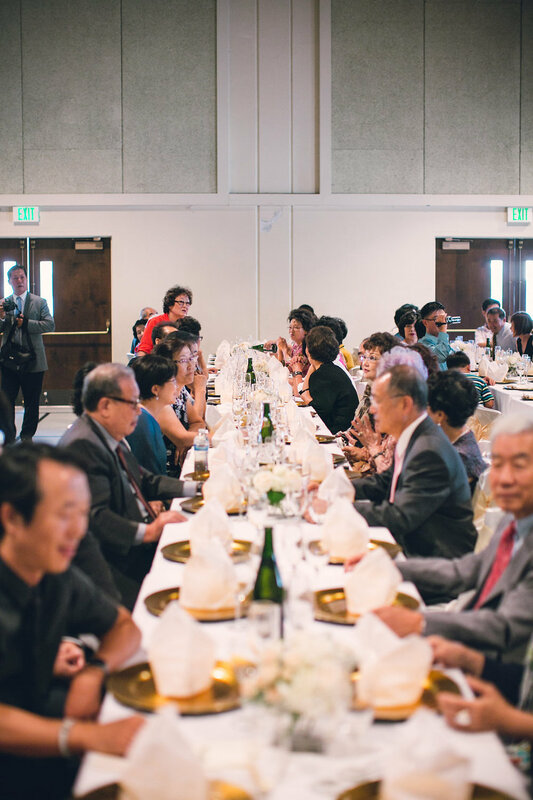 With over 400 people in attendance at their ceremony, Hyerim and Jon wanted to pay their respects to their parents and their friends at a separate adult's reception at the New Life Community Church, followed by a reception filled with their closest friends at the Los Coyotes Country Club. The couple wanted to incorporate their love for music and games by having board games set out during the cocktail hour, and how adorable are those jumbo Scrabble tiles for their table numbers? 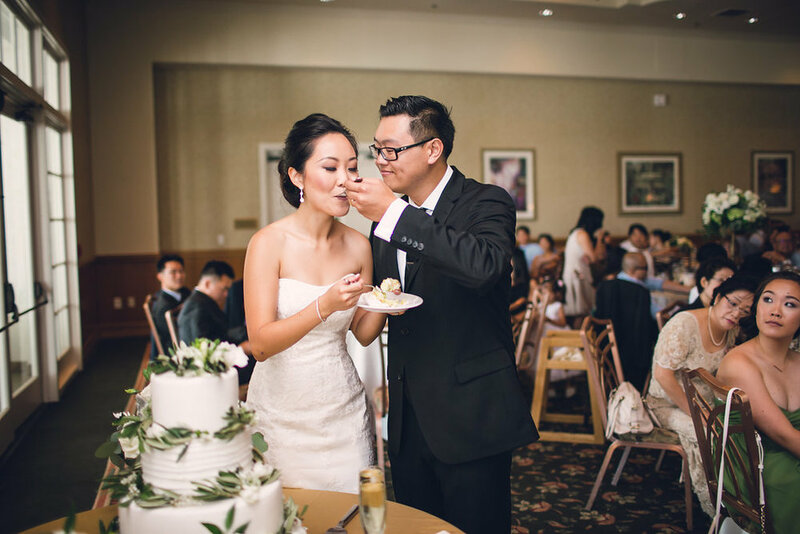 It was such a fun-filled and jam-packed day, so I am so thankful for Daniel over at Snapmotive for being there to capture all of the beautiful moments. Enjoy!